Income League was founded and endorsed by 2 well-known names in the affiliate marketing world. So I had high hopes that they were going to show us their techniques and tips for making money with an online business. Unfortunately, that’s not what I found, so I was disappointed with this program.To find out why, read my Income League review below and see if you think it has money-making potential or if it falls short in your eyes too! This review is based upon my opinion after purchasing Income League and experiencing the system firsthand. It is as thorough as possible to help you decide if it is worth your time and hard earned dollars. 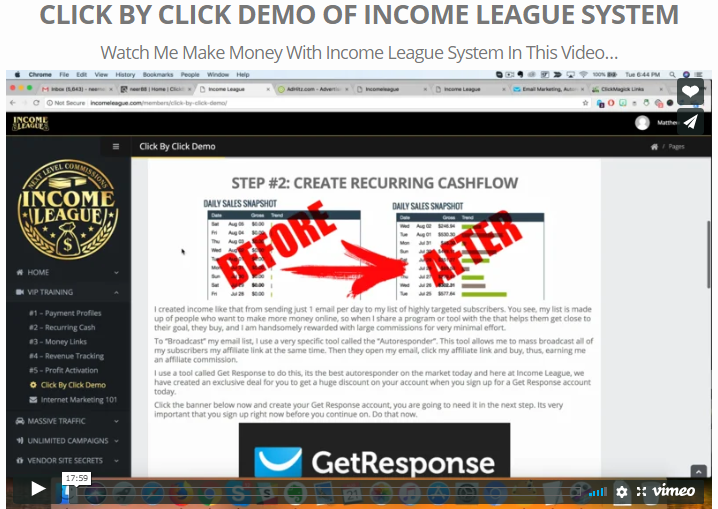 Income League is an online money-making system founded by Matt Neer and Jamie Lewis. Both of these gentlemen are known for successfully making money online. This program is designed to create passive income by placing tiny little ads all over the internet. It is supposed to be a revolutionary new method that no one has seen before and can make you $2,000 a day! These tiny little ads are free. Every time you want to make more money, you just log in and post another ad–it is supposed to be that simple. There’s no limit to how many ads you can post, and once you set them up, you can post them over and over again. Matt Neer states that he only has to work an hour or two each day. He posts some ads in the morning, checks on them in the afternoon, then posts some more before he goes to bed. The commissions just roll in, and he averages about $1,000 a day, but has recently had a month where he averaged almost $2,000 a day. The cost of Income League is a one-time fee of $37, and you are offered a 60-day money-back guarantee with no questions asked. The claims of easy money online with little effort and huge, fast earnings all fly in the face of what I know about spotting scams online. But the reputation of Matt Neer and Jamie Lewis were good enough for me to purchase Income League. Before I was able to gain access to the system, I was offered a series of upsells. Now, 1 or 2 upsells is not uncommon with many programs, but in this case there were 4! ~ First Upsell—Unlimited Campaigns Package is a one-time fee of $149 and gives you the ability to place unlimited “tiny little ads”. Whoa! Wait a minute–the program I just paid for was a system where I placed Tiny Little Ads and had unlimited income potential! So why am I now asked to pay $149 for something I was told I had bought already? Now I learned that the original $37 was only for placing 1 ad. If you want to make more money, you have to purchase the Unlimited Campaigns Package. So when selling the basic program, the promise that you can make more money by just running another ad was misleading at best, and at worse, it was false. ~ Second Upsell—One Step Developer is a program Jamie Lewis founded that will make you a “Cash Pulling, Automated, Affiliate Driven, DONE FOR YOU Business for a one-time fee of $197–you don’t even pay hosting fees! The sites that are created for you will not be yours, you are not paying for the hosting and you wouldn’t be able to move to the site to another hosting platform if you wanted to. They are not secure with an SSL certificate, which gaining in importance every day in order to get good rankings in the search engines. 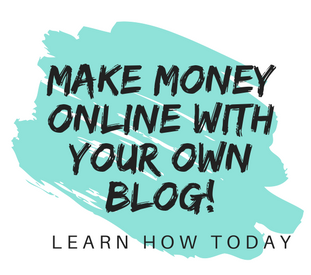 With no content, like a blog, it’s unlikely that you’ll be able to drive any traffic other than paid traffic, which can cost hundreds, and even thousands, of dollars in order to make any sales. I haven’t yet found a Done-For-You program that legitimately makes you money without having to spend a fortune to make it work, if it works at all. Most of them only make money for the person who owns the system, and I didn’t see anything here that looks different. The cost of this program is unclear–he says it’s $197 in the video, but the screenshot says that it’s $97. Since everything else that I’ve seen so far about Income League has had red flags and not impressed me, I declined this upsell as well. In the Before shot, every month shows $0 earnings, then in the After shot, every month shows earnings. If this were real, you’d see $0 in the months before he started the system and then earnings would show up in the months after that time. If it looks like numbers are not adding up in one place, you have to question them everywhere. ~ Fourth Upsell—Income League Sales Funnel License, Neer invites you to clone his system and sell all the products that you’ve just seen. The only thing you need to do is send traffic! You have to purchase a license to sell the products, but it’s unclear how much it really is. Neer says $495 in the video, but in the screenshot it says $297–pretty significant difference! You should never have to pay money to be an affiliate. Those programs that charge for a “license” are just padding their wallets at your expense. If the program is legitimate and has value, the founders will make money from having affiliates promote it. In my opinion, only programs that are less than legitimate need to charge affiliates for promoting it. When I was finally able to get access to my Income League system, I was greeted with yet another upsell! This was for a Desktop Lightning account. A free account comes with your system, but they tell you to definitely take the Platinum upgrade right away. Desktop Lightning is a company that says it will send your messages to thousands of hungry buyers with just one click. This is one of the programs they recommend to drive traffic to your site. This works like an MLM, or Multi-Level Marketing system. You have people sign up to install software on their computer and then you can promote products to them. They in turn recruit people to sign up and so on. You won’t get quality traffic from this site, so take my recommendation and skip it. Bingo–now it’s making more sense! I don’t doubt the money that Neer is making, but there is nothing showing me how he’s making it–all we see is Clickbank totals, some of which don’t match up. 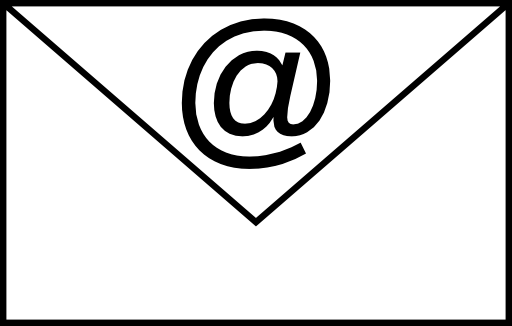 But using email marketing is probably very lucrative for someone who has been a successful internet marketer for so long. I’m sure it’s possible that he could have 100,000 subscribers or more. So when new money-making systems come out on Clickbank, he can send out emails promoting them. It’s very likely that Neer can make the money that he’s showing on his videos due to a huge subscriber base, not by placing tiny little ads. For you to make the same kind of money, you need a targeted subscriber list, which could take months and years to create. In the meantime, you have to pay a $15 monthly fee to GetResponse, and that fee increases by the number of subscribers you have. You are not instructed to look up any of these programs and see if they are legitimate or not, just find ones that are converting well. There are so many scam programs out there, but finding anything that is valid and legit to promote is not talked about anywhere. I find it interesting that in another portion of the videos you see Matt Neer’s email address, and it’s matt@listleverage.com. Considering that List Leverage is the first recommended program on his list, it’s pretty easy to see that these recommendations are going to make him money for sure. Once you’ve picked your programs to promote, there is a video that shows you how to connect your squeeze page to GetResponse. Since I did not buy any of the upsells, I got one and followed the instructions to connect it to GetResponse, which is my email marketing autoresponder already. ~ The next step is tracking your revenue. You’re instructed to sign up to ClickMagick, which is a revenue tracking service. You get a 14-day free trial and then have to be a paid subscriber to use their services. It just so happens that ClickMagick has a great affiliate program, so the owners of Income League will also get revenue from you signing up for this service. The Drip Stream–They call this their proprietary traffic rotator, but basically it’s just selling you email lists for $34.95 per month once they’re done marketing to them. But you have to upgrade for the privilege of paying for the lists each month! I’m not seeing any value here. AdHitz Network–An advertising network where you can post ads fairly cheap. This is the one I chose to try in order to test the Income League system. ~ The last step is to watch their click by click demo and set up your ad. I watched the video and set up my first tiny ad on the AdHitz Network exactly as taught with my one squeeze page. I waited and waited, checking my account periodically and hoping to see the commissions start rolling in like they did on his account. It’s not a surprise that it didn’t happen because I know that affiliate marketing just doesn’t work this way. Here at Build Your Early Retirement, we give Income League a rating of 2 out of 5 and cannot recommend it. In my opinion the only people who are going to make money are those who already have a good sized targeted email subscriber list and market to them. For anyone with limited to no experience in online marketing, the chances of them losing a great deal of money is high. In my experience, ads like the ones being promoted in Income League are low quality and have very low conversion rates. 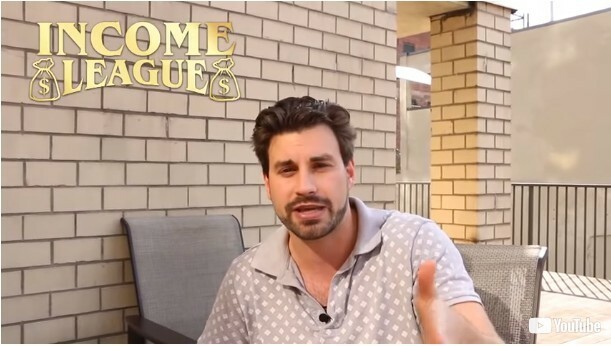 It’s obvious to me that the founders of Income League stand to make a great deal of money from the upsells and the affiliate commissions they’ll receive from the accounts you sign up for. But I highly doubt profits are going into anyone else’s account. If you really want to try it, you can access Income League here, but you will get much more value with my top recommendation. If you want a legitimate program that teaches you how to make long-term, consistent money online with time, commitment, and effort, you can check out my #1 recommendation. It’s Wealthy Affiliate, and you can see everything they have to offer with no credit card required! 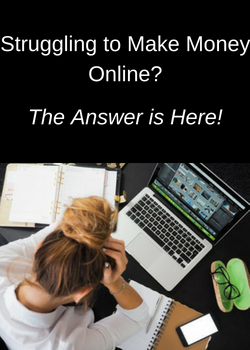 Have you tried Income League or made money placing ads on the internet? If so, we’d love to hear what experiences you had and what your results were. Feel free to share them in the comments below! I am glad you did some home work on this site – income league review. Looks like a scam from 2 well known guys. As for the domains that were no longer online, maybe they had issues and closed them down. One thing that I really hate is upsells one thing leads to another and in the end you circled back to the beginning and now it costs more. WTF. Holy crap by the time you got to List Leverage Affiliate program I was lost. Rambling on and on. what a load of crap. I agree I would not invest in this time wasting product. I’m glad you evaluated the program and saw the same flaws that I did. It’s a shame that inexperienced people will think that they can get this program and make the kind of money claimed by Income League, and I just don’t believe that will happen at all. Let’s hope that others look at all the details before spending money on this program!